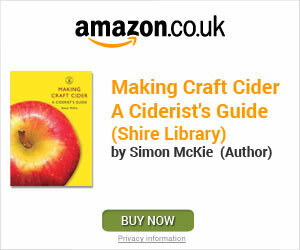 If you want to know how to make apple cider and Brewing Apple Cider what homebrew equipment you require then read on. You will be pleased to know that the process for making great tasting cider on a small scale is not too difficult and not too expensive but may require a little help from friends and family. 1. Select a variety of apples (approximately 12-16lbs produces about 1 gallon of cider). 2. Wash and prepare your apples without the necessity to peel or core. 3. Grind the apples to a pulp. 4. Press the apple pulp and let the juices flow. For more detalied information on the process in steps 1-4 go to Harvesting and Preparing Apples For more information on the actual equipment used in steps 3 & 4 go to Equipment. 6. Leave it to mature. 7. Bottle it, drink and enjoy!